The love hate relationship I have with sewing leather has forced me to seek help to improve this relationship. My problems were solved with a simple can of WD-40 and a leather sewing needle. That’s right WD-40, or you can use sewing machine oil. 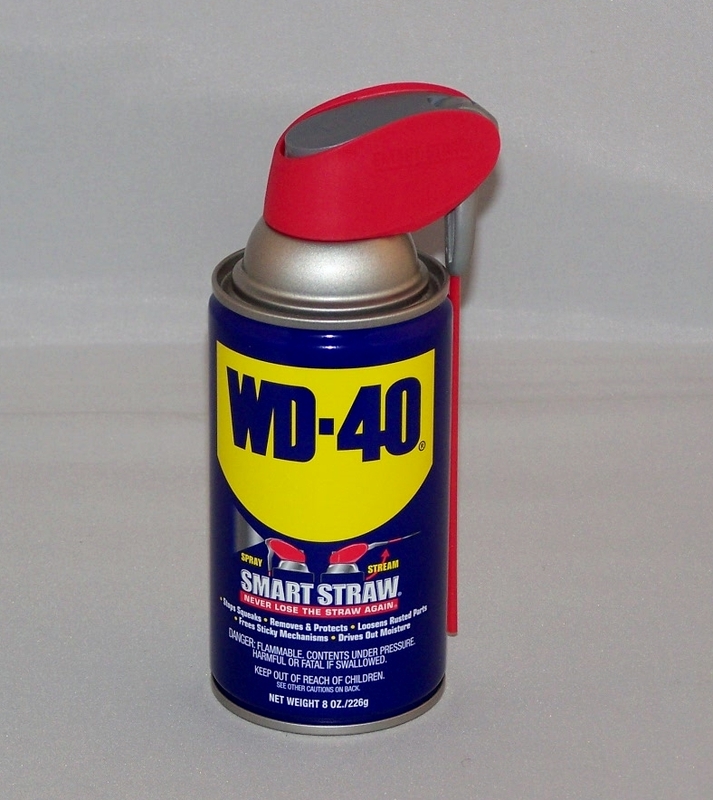 WD-40 Cost $5 at your local hardware store. I read through many tips and watched YouTube videos that suggested buying a roller foot, or walking foot, using baby powder and using thin leather…. You will need a leather sewing needle. 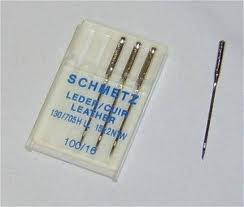 I use theses needles for everything I sew, because my purses and totes can get a little bulky . WD-40 or sewing machine oil – This oil does not stain the leather and actually conditions it. Small container to hold the oil. It’s not advised to spray the oil onto the leather, because an excessive amount may come through the straw. Q-Tips; used to apply the oil onto the leather. Clips; used to avoid pin holes in the leather. plastic/rubber paper clips are fine. Spray a small amount of WD-40 oil into the small container. 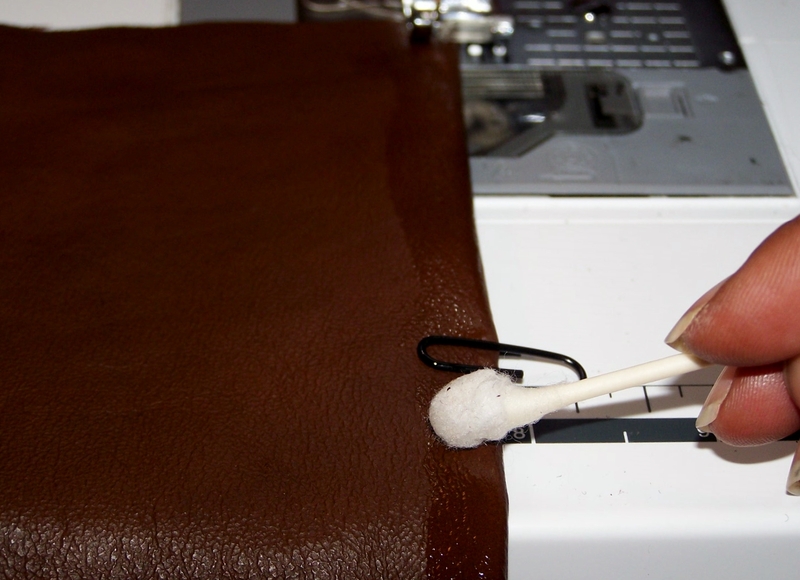 Use the Q-tips to apply the oil lightly on top of the leather section you’re going to sew. 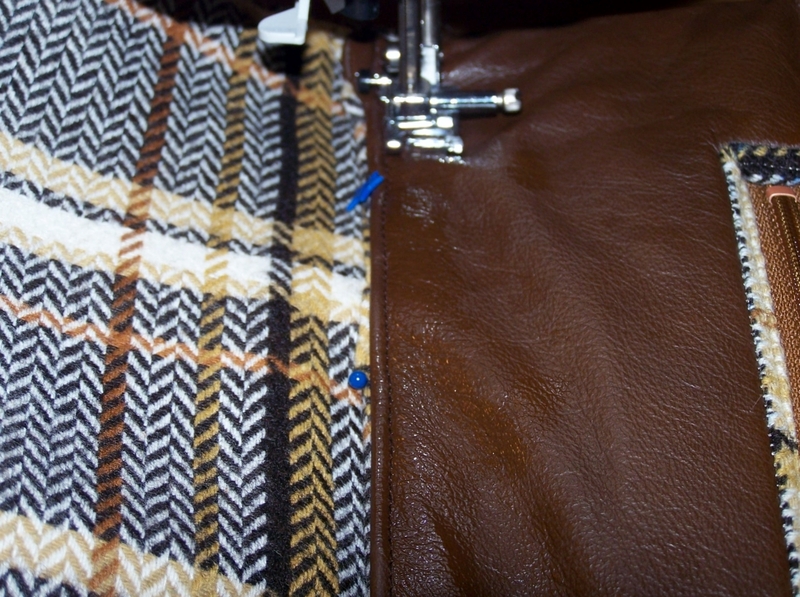 Before sewing using your leather needle, you will need to adjust your seam tension. My tension is usually set at 2.5, I recommend a looser stitch of 3.5 to give you a smooth finish. The presser foot will glide on top of the leather like butter. It glides over the leather and allows you to be in control. You can wipe off any excess oil or rub on the surrounding leather. The WD-40 dries quickly and remember it also conditions the leather. If you have an experience with leather, or have tried this tip please share it in the comments below. I would love to hear from you. Previous Post Cosmetic Bag- Is it a Hit or Miss? I’ve used a rolling foot and a Teflon foot, but never oil. Great idea. I’ll have to give this a go. I have used leather needles though. They have a knife edge and are good where ever a knife edge is appropriate. This experience has given me a new found respect for leather, that’s for sure! Thank you for sharing your experience. I haven’t invested in a “foot” yet, but I will research the Teflon foot you mentioned. Let me know when you try the oil.